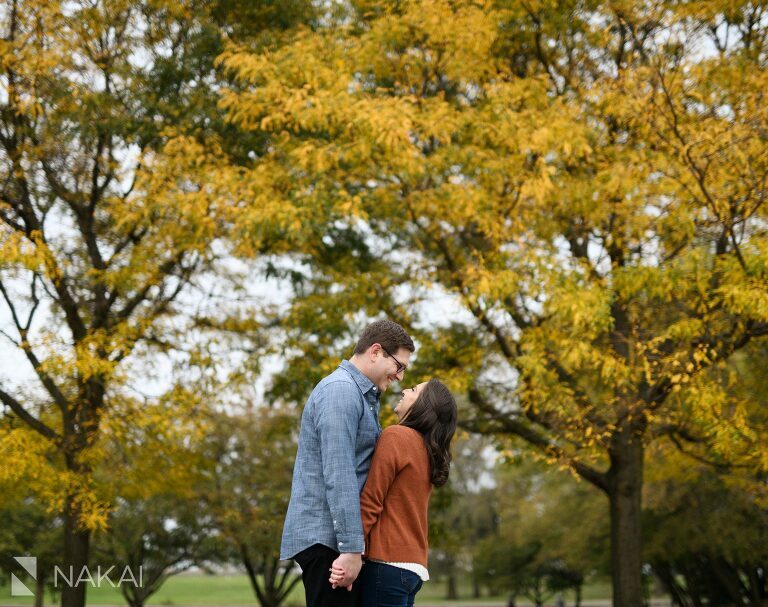 We headed to Lincoln Park for Carly + Aaron’s engagement photos last month! We were able to take advantage of the fall colors and the Chicago skyline! Love this photo of the Chicago skyline – it’s rare to get a great shot with both the John Hancock and Willis Tower! Perfect Lincoln Park fall colors behind them! We returned to the spot where he proposed…and we did a little reenactment for fun! Another picture with the Chicago skyline! I love incorporating Lake Michigan in to a few photos! When we turn the camera towards the lake, you forget that we are in Chicago! Thank you Carly + Aaron for a wonderful engagement session! Can’t wait until your wedding next year! 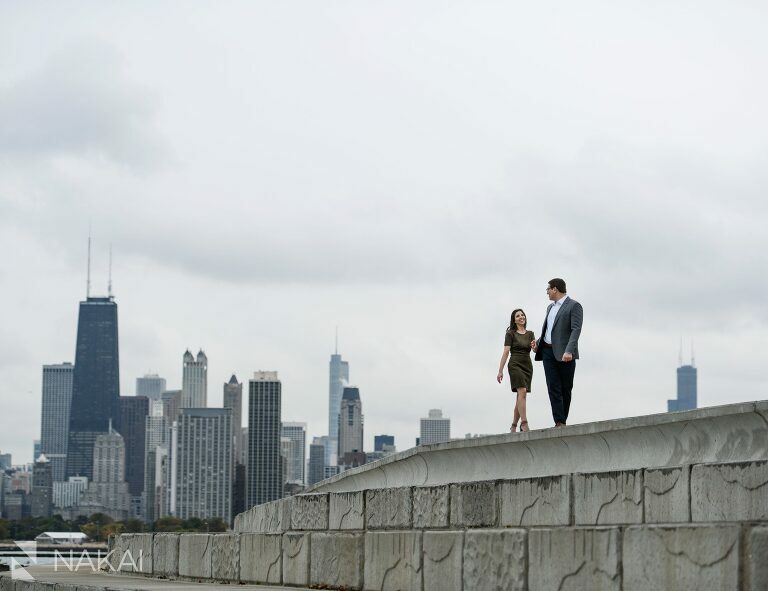 « Chicago Engagement Session // Kara + Kevin!